Everyone has different reasons for buying a wristwatch. Some just want the time. Others want an attractive fashion accessory. Still others want an elaborate mechanical marvel. All are valid, but many designer watch brands are created just as fashion accessories, and that’s where Just Cavalli watches come in. Just Cavalli is the youth-oriented brand from Italian designer Roberto Cavalli, and like many fashion brands, they offer accessories in addition to clothes. These watches aren’t cutting-edge timepieces, but they are attractive, reasonably well built and not terribly expensive. Read on for the full Just Cavalli watches review. 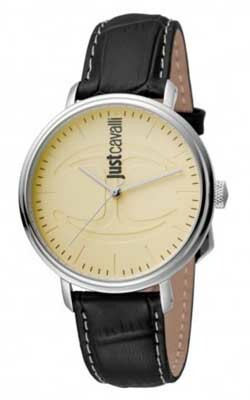 Just Cavalli watches is part of the Gevril Group, a Swiss watchmaking company that handles dozens of fashion brands. Their watches are reasonably well built, with stainless steel cases, mineral crystal to protect the watch face, and leather straps or stainless steel bracelets. Crowns are of the push-pull type, rather than the more expensive “screw-down” variety. Water resistance varies by model, but most models are rated in the 30 meter to 100 meter range, which means that it’s OK to get them wet, but swimming or diving while wearing them is not recommended. Here you’ll find only quartz electronic movements, and we believe that they are sourced from ETA, a reliable Swiss manufacturer of watch movements. Quartz movements are both accurate and reliable, and have the added benefit of not requiring a lot of maintenance, which is what you want in a fashion watch. If you’re looking for innovation in Just Cavalli watches, you’ll be disappointed, as this is a fashion brand, and they’re about function and looks, not about cutting-edge horology. A few models have a date complication or function as chronographs, but that’s about all you’ll find in the way of complications in Just Cavalli watches. That’s not criticism; the brand isn’t interested in watchmaking for its own sake. They’re creating fashion accessories that will look good and run well. Styling is cutting edge and colorful. The brand is a bit unusual in that while they make watches for both men and women, they make far more women’s models than men’s models. Watches come with standard round cases as well as square (or at least “square-ish”) cases. Styles range from simple and austere to bold and busy. There’s a fair amount of color available, particularly in women’s models. If you like bling, many of the women’s models also feature a number of crystals in the bezels. You won’t find any genuine gemstones or precious metals, however, as these would push the watches well out of the price range that the company is targeting. Case sizes for men’s models tend to run to the large size, in the 40mm-45mm range. Most of the watches have the company logo rather prominently displayed on the watch face. In some models, it’s the primary feature. As all of the company’s timepieces have quartz electronic movements, maintenance will be minimal. You’ll need to have the battery replaced every 3 years or so, and that’s about it. You should store your watch away from extremes of temperature and store them in a cool, dry place. With proper care, your watches should run well for years to come. The warranty offered with the purchase ois good, but not exceptional. You’ll receive a warranty of two years from the date of purchase against defects in materials and craftsmanship. This is the industry average; nearly all watch companies offer a two year warranty. As these watches are thoroughly tested at the factory prior to shipping, defects are likely quite rare. It’s also possible that some retailers will offer an additional warranty at the time of purchase. You may wish to inquire about this prior to purchase. 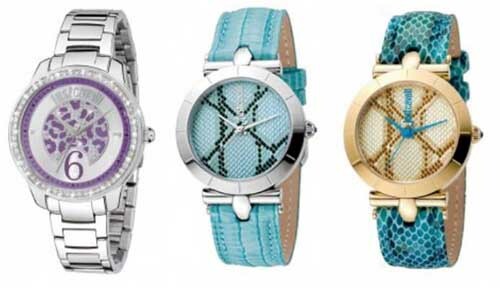 As designer watches go, these watches are quite reasonably priced and will be quite affordable for most buyers. In an industry where you can easily spend thousands or even tens of thousands of dollars, you’ll find these priced in the hundreds of dollars, and in some cases, even less than that. The majority of them are priced in the $50-$200 range. We’ve seen a few models priced as high as $500, but most are well below that. You can find them for sale at a number of brick and mortar stores and you’ll be most likely to find them at stores that carry the company’s clothing. You can also buy them at the company’s official Website. 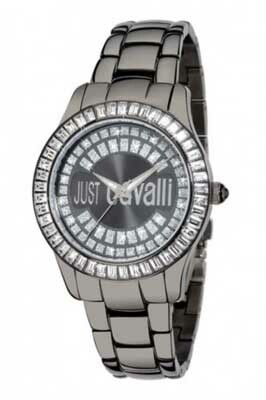 Your best bet for buying discount Just Cavalli watches will be to buy from any one of a number of online retailers, as online retailers are often in a better position to offer discounts. Online retailers tend to have less overhead than brick and mortar sellers, which gives them more latitude in pricing. If you’re looking for a watch with phases of the moon, perpetual calendars, or a tourbillon, you probably won’t have much interest in this brand. On the other hand, they do make an attractive watch, with many models for both men and women. They’re well-built, with Swiss quartz movements that will keep accurate time without requiring a lot of maintenance. They are fairly priced, as well, with a number of models priced at under $100 and most priced at $200 or less. 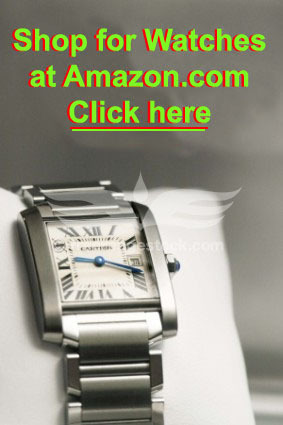 That makes them affordable for a large percentage of people who are in the market for a fashion watch. 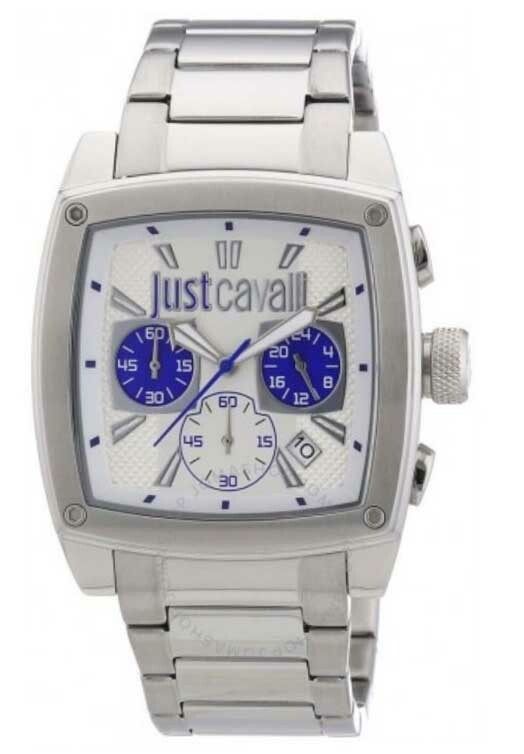 All in all, Just Cavalli watches offer a pretty good timepiece for the money, and one that will work well for casual, business or evening wear.